– U.S. President Barack Obama in his State of the Union address, 2015. You can’t make this stuff up. The hub of world financial activity, Wall Street and all, is gambling every day that two old reactors just 25 miles away won’t finally melt-down, Fukushima-style. Even the Nuclear Regulatory Commission thinks Indian Point has the most at-risk-for-an-earthquake reactors in the country. Later in this program we’ll talk with environmental lawyer, activist and local resident Susan Hito-Shapiro about the real threat. I’ve been on the climate watch since 1990. How come nobody told us? And our source is not a blogger from nowhere-istan. He’s a scientist with decades of experience and a who’s who of scientific connections. The only good news is there is some good news. Dr. Goreau can also see a way to bring the world’s climate back to the place we can recognize, and survive. It’s all in a day’s work at Radio Ecoshock. Are we heading toward a super-tropical planet with today’s coastlines deep underwater? We’re going to talk about what the United Nations doesn’t tell you, and the best way to save what’s left. Our guest is Dr. Thomas J. Goreau. 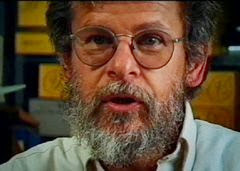 He studied planetary physics and astronomy, before getting his doctorate in biogeochemistry at Harvard. Born in Jamaica, among many fields of expertise, Thomas Goreau is an expert in coral reef science. He is President of the Global Coral Reef Alliance. But I’ve asked Dr. Goreau to join us because of a startling speech he made last November at Tufts University. The conference was called “Biodiversity for a Livable Climate“. WATCH THE TUFT SPEECH FOR YOURSELF, HERE. Download or listen to this Radio Ecoshock interview with Thomas J Goreau in CD Quality or Lo-Fi. Let’s just go over a few main points from my interview with Thomas Goreau. You probably haven’t heard that news before, and may not hear it again. I’m not a scientist. This is just what I’ve found in Google searches, which you can do for yourself. The actual climate record says that the world will keep warming for thousands of years. At our current level of 400 parts per million carbon dioxide in the atmosphere, it may settle out between 17 degrees and 20 degrees C. warmer, at least 30 degrees hotter in Fahrenheit. The seas will be some 27 feet higher, at least. Back in the last great warming period, the Emian, most of the world’s coral reefs died, sea levels were super high, and the CO2 levels in the atmosphere were only 280 parts per million, much lower than today. I found that hard to believe. So I went back into the charts myself. Has the Earth ever been that hot? We won’t count the very early days of the planet, or the time when a collision split off the moon. NASA estimates temperatures in the atmosphere may have hit 3600 degrees Fahernheit. There was no life then. According to Wiki, the hottest point in the last 500 million years was around 15 degrees C warmer than the 1960 to 1990 average global mean temperature. There are two striking points about the United Nations approach to climate change, coming out of this interview with Thomas Goreau. First, the Intergovernmental Panel on Climate Change has been blinkered to look at just the next 100 years at the most. We’ve all become conditioned to that, without asking what happens in the NEXT 100 years, or 500 years. Sure, we’ll all be dead by then. But think back. If people in Medieval Europe developed this fossil-fuelled civilization, right about now we’d all be struggling to avoid extinction, living on mountain-tops or in the Arctic. Most of our animal and plant friends, including our food, would have been long gone. That’s what we apparently agree to leave to our descendants. In his Tufts lecture, at 6 minute 30 seconds into the video, Goreau says the actual long-term climate change operates on a sensitivity about 10 times what IPCC projects, sea level 100 times, and CO2 much more again. The second big point about the U.N. climate framework is they don’t count carbon soil at all. They don’t measure it. Nobody rewards people who can put carbon back in the soil. Our whole effort is not agricultural, but industrial. Let’s cut back carbon emissions, close the coal mines and the Tar Sands. Sure, but that won’t stabilize Earth’s climate at all. It just makes our future less worse, or stalls the big change one or two hundred years. The UN watered down the language on sinks, and focused on fossil fuels, wanted credits for photosynthesis, but not respiration. The whole carbon accounting system makes no sense. You can get credits for planting trees, even if they burn, or die. But there’s no credits for putting carbon in the ground. Soils need to be counted as carbon sinks, and use that as the ultimate measurement. Governments are running away from reality. IS 350.ORG AIMING TOO LOW? I know plenty of so-called realists who blast Bill McKibben’s 350.org for being so whimsical demanding we go backwards in carbon emission time. It’s obvious carbon in the atmosphere is going up, up, up. Except… that does mean we are doomed, and our world with it. Thomas Goreau is part of a growing chorus of scientists and activists who expose the awful truth: even 350 parts per million CO2 in the atmosphere is too high. We need to wind the carbon clock way back, to about 260 ppm. Here is another video of Goreau on a panel, worth watching if you want to dive deeper. Goreau says: Biochar treated at high temps doesn’t decompose. There are forest fire ashes 350 million years old, still recognizable, didn’t decompose. We spend half the Radio Ecoshock interview talking not about climate catastrophe, but about the real solution that is out there in soil carbon. We do know how to do it! We could avoid climate catastrophe! Find a lot more sources on soil carbon here at ecowatch.com. Also listen to my interview with soil carbon champion Alan Savory. Here is the blog for that 2011 show on the soil carbon solution. Or read about in this Radio Ecoshock blog entry. Goreau’s latest book book is more of a scientific textbook (at $100-something dollars). It’s “Geotherapy: Innovative Methods of Soil Fertility Restoration, Carbon Sequestration, and Reversing CO2 Increase” by Thomas J. Goreau, Ronal W. Larson, and Joanna Campe, published in December 2014. I just had an interesting email conversation with Albert Bates, the counter-culture thinker from The Farm. He’s really into dirt, and getting carbon back into it. Albert is off teaching the ways of permaculture and carbon farming, this time in Belize. Some of the most ardent students, and maybe our best hope, come from South America, where the whole idea of biochar originated some 5,000 years ago. Some big names are getting interested in the soil carbon solution. Expect to hear more about it. If you don’t, our great grand-kids may be cooked. Perhaps coincidentally, Albert Bates’ blog “Peaksurfer” has this in-depth article on the folly of nuclear power. My second interview for this program looks at another way the world financial system can melt down, just like Fukushima. Today, and every day, tens of millions of Americans in and around New York City risk a Fukushima-style melt down of two nearby reactors. The Indian Point Energy Center is just 25 miles north of New York City. These old reactors have leaks, fires, and shutdowns galore. The reactors are within a mile of a known earthquake fault. For all this and much more, Indian Point could be America’s most dangerous nuclear plant. The triple melt-down of the Fukushima nuclear reactors in Japan taught us that a nuclear accident is not a local issue. If you live in the Northern Hemisphere, or anywhere near an ocean, this is your problem. This is your story. Radio Ecoshock investigates with long-time nuclear activist and New York State environmental lawyer Susan Hito-Shapiro. There are so many dangerous problems there, I hardly know where to begin. Why don’t we start with mega-risk: the possibility of an earthquake. This was just in the news, as the Nuclear Regulatory Commission turned down an attempt by the reactor operator to avoid doing proper quake risk studies. The NRC is amazingly slow to protect the public. Entergy has until 2017 to come up with a plan to protect against a quake – and then more years to implement whatever hardening is needed. We just have to hope it doesn’t blow before then! The other huge risk, revealed by the Fukushima melt-down in Japan, is the stupendous amount of highly radioactive spent fuel stored on site. What is the situation at Indian Point? The Boraflex liners of storage ponds are aging, the battery backup is questionable, the pools are fantastically overcrowded beyond their design, some materials have been moved to dry cask, but not enough, there is no real protection for the ponds to contain nuclear radiation, and absolutely nothing to stop a jet-liner from crashing into these waste pool buildings, which have the strength of an average WalMart roof. Other than that there’s nothing to worry about, except of course the high earth quake risk and good old human error. While looking into all this, I came across news that a former supervisor at the Indian Point nuclear plant, Daniel Wilson, has been charged with lying to federal regulators about having reliable quality fuel for the emergency power generators. There are 2800 tons of poorly protected, poorly guarded high level radioactive waste just sitting at Indian Point, on the edge of New York City. Remember, the 911 terrorists considered flying a plane into Indian Point, but decided to hit the World Trade Center instead. One of the 911 planes flew right over the nuclear reactors. There is nothing to stop that. Shapiro says today you can paddle a kayak right up to the reactor. But Shapiro says the real every day risk is not terrorism – it’s those old corroded reactors, unsafe at any speed. In a sense, until we shut these ageing reactors down, WE are the terrorists. FIRE CODES? WE DON’T NEED NO STINKING FIRE CODES! Amazingly, the Nuclear Regulatory Commission has granted an exemption to Entergy at Indian Point when it comes to fire regulations. 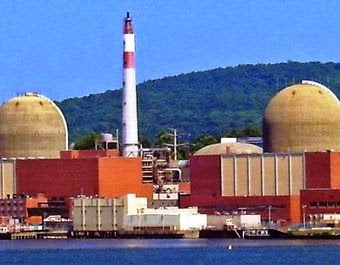 The Indian Point reactors don’t begin to meet basic fire safety requirements. Here’s just one example that Susan explains. The equipment is supposed to have fire suppression material. They used a material called “Hemyc” that was meant to give hours of protection, but under real-world testing only lasts about 24 minutes. That’s how long before a major fire and nuclear accident can happen. Here is a .pdf report “Fire When Not Ready” on the whole fire protection mess in pretty well all American nuclear reactors. The NRC knows some materials were simply falsified in testing, while others don’t work even for an hour. Let’s talk about getting out of Rockland County, or maybe even New York City, if and when the Indian Point nuclear plant blows. It looks to me like the NRC is only requiring an evacuation plan for a ten mile radius around Indian Point. That’s strange, considering the American government advised its citizens to pull back 50 miles during the Fukushima nuclear accident. Even the Governor of New York State acknowledges that there is no workable way to evacuate ten or twenty million people. As Susan Shapiro tells us, New York City is actually surrounded by the remains of an ancient mountain range. There are geographical bottlenecks which make an evacuation a nightmare. We talk about the high cancer rates around the Indian Point reactor. Thyroid cancers near the Indian Point reactors are way, way above the average for the United States. Go to radiation.org for all the details on that. Then there’s the incessant fish kills as hot reactor water goes into the Hudson River. The list of negative effects just goes on and on – and that’s even before there is a big accident there. When Indian Point melts down – think about it! Fukushima was much further from Tokyo, but the Japanese government at one point considered abandoning Tokyo. Only a fortunate wind saved that city. The prevailing winds in New York blow straight from the Indian Point reactor site. I said at the start of our chat, that a blown reactor is everybody’s problem. That’s triple-true of New York City, the world’s financial capital. You would think Wall Street might worry they could have to leave town permanently due to a nearby nuclear accident. Here are some notes from Susan Hito-Shapiro, as a follow-up to our interview. The study she refers to about putting solar on NYC municipal buildings was some years ago. * The 5.8 Earthquake in Virginia in 2011 registered .26g -.28 g.
* The epicenter of North Ana was 10 miles from the Reactor, Indian Point’s reactors are one mile from the intersection to two intersecting faults. * The 2013 Consolidated Edison Annual Report says 350 MW are being contracted from Indian Point. An unspecified amount of additional energy goes into the Lower New York State Grid, through daily auction of NYISO. NYS has not required Entergy to provide records on sales and profits. Here is Susan Hito-Shapiro’s Facebook page. What I didn’t know, is that Susan Hito-Shapiro is also a film-maker, who more recently started up a biodynamic farm with her husband, Santi Hitorangi, in New York State. It’s called “Goshen Green Farm”. This is one high-powered woman, who can go from growing green to making formal legal presentations at nuclear waste hearings. Thanks Susan for all you do! You may have heard more bad news about ocean extinction. I’ll be talking with lead author Douglas McCauley about that. Paul Beckwith is coming back. Maybe we’ll argue about Arctic methane. And I’ve got more mind-boggling climate science for you, as Radio Ecoshock paces back and forth inside the carbon cage. Until then, keep calm and carry on. Get this program, and all our past shows, as free mp3 downloads from our web site at ecoshock.org. Or visit the Radio Ecoshock Soundcloud page to listen in. I close out this program with a tune from my buddy, California musician Dana Pearson, also known as vastmandana on soundclick. It’s his new creation “The Engines of Life”. I also run a clip from British rap poet Dave Allen performing his piece “Serotonin Fix”. Find it on You tube here. Warning, Dave’s piece contains some rude words, and some hard truth. Yes alex. 450ppm no that was never the true limit its 100. Why when the level was 100 less there was a mile of ice over new York! So 100 more is going to be nuts . This has always been in the graphs and know. Hansen has been saying this from beginning. Simply put were toast unless we get lucky. Paul…if we sit on our butts we're toast… If we say… "Later" were toast. However massive changes in renewable strategies, batteries, biological and materials sciences are unfolding…we are at a nexus or inflection point…and there are not so subtle rumbles in the insurance and financial sectors…that the seriousness of our predicament is being recognized. I believe Goreau is wrong. If we stop emissions this century, the world will not continue to warm for thousands of years. To put it simply, the world warms when the Earth takes in more energy than it emits. Right now, that "energy imbalance" is about 0.6 watts/m^2, which is equivalent to 400,000 Hiroshima atomic bombs going off every day. But once the Earth warms up enough to emit 0.6 W/m^2 more than it does today, the Earth will be in energy balance and the oceans will stop warming. Of course, we are continuing to emit GHG so the energy imbalance is getting worse, but we can take action to limit warming. What drives the maximum warming is the total amount of CO2 (and equivalents) we emit. Since CO2 lasts for hundreds to thousands of years in the atmosphere, it doesn't matter much how fast we put it in the atmosphere, only the total cumulative amount matters. If we limit total emissions to ~1000 gigaton of carbon (GtC) peak warming is estimated to be about +2ºC. But because the oceans act like a flywheel, we will have that elevated temperature for about 10,000 years. The problem is that we are going to blow through 1000 GtC on our way to 2000 GtC and beyond. This will bring us to the +4ºC and beyond warming that is predicted for the end of the century. +4ºC will be bad enough that we won't need to worry much about higher temperatures. You can only go extinct once! Things could be worse that the National Research Council reports says if we hit tipping points that cause the Earth to emit large volumes of greenhouse gases on its own (from permafrost, clathrates, etc.). I agree with Goreau that biochar is a good thing. But his cost estimates for carbon capture and sequestration are way off. The cost today is about $100/ton, but no one will pay that because they don't have to… they can pollute for free. Recent developments suggest that the cost of CCS could drop to $35~40/ton by the end of this decade. A price on carbon will go a long way to develop and deploy biochar, CCS, clean energy, and other green technologies. Great show as usual. The mass media controlled by the corporate elite are still insisting that global warming is a hoax ( Alex Jones etc) even though once again the past year has been confirmed to be the warmest ever recorded in history. Unfortunately, change in the U.S. has to start in Washington and it is frustrating to see that both sides of the aisle are owned and slaves to the entity that needs to be reined in if not stopped. It is unbelievable that most Americans have no idea of the problem of the spent fuel pools at nuclear power plants and how they remain unprotected. Again, the media has made sure that the information is kept out of the mainstream press and can only be found by persistent digging into alternative media sites like your own. Again thanks for having the courage to tell the truth and to the scientist and lawyers who stand up for the truth and demand change. I have been trying to do my part by mentioning in homilies as part of my ministry. Comparisons of temperature, ice and water levels over hundreds of thousands of years is an apples to oranges comparison because of variables in earth's orbital, geo-chemical and ecological dynamics. To say that nuclear is bad and solar panels and windmills are good is as stupidly childish as it sounds. Both nuclear power and green energy are dirty corrupt businesses that lie to us. Alan Savory killed like 50,000 elephants because of his stupid ideas. Crop and pasture lands are responsible for 80% of species extinctions. Humans and livestock are 97% of land vertebrate biomass. There are a lot of low hanging fruits we could pick, to have an immediate impact on emissions. We don't do them, instead we busy ourselves playing fraudulent carbon tax shell games. We have spent a trillion bucks on green and carbon tax schemes and emissions only go up even faster. Any more McKibben-Klein happy talk about momentum is going to send me over the edge. McKibben and Klein are funded by the Rockefellers to make sure governments and corporations control carbon taxes. Scientists are stuck in information silos, meaning they can't see how the confluence of many crises work. Although, that doesn't stop them from offering uninformed opinions. Because "green" energy is intermittent, we will need 10X as much of it to totally displace fossil fuels, while at the same time energy demand doubles, also at the same time we enter post-peak minerals, and also at the same time we have to cut emissions 80% in 15 years. Now, imagine somehow we did provide the world with 100% solar and wind power, we would only have to replace it all in 30 years. This so stupidly fanciful, it's no wonder we are all going to die. If you don't say you're 100% private carbon tax dividends, then ur again' it. the only way to dismantle financial globalism is to tax carbon for 100% total private citizen dividends free of charge with no share for corporations and governments because they will eventually figure out how to get your money anyhow. This dividend should be in new world electronic currency that can be direct deposited to your account. Then we have to use Thorium power to provide the base power clean energy needs to clean up its act. Green energy cannot do it alone period, exclamation mark. We can use the same tax principal to wipe out corporate food to complete a financial coup détat world wide. There is no green shangra la. Molten Salt Reactors in Five Years? Alex mentioned my comment to him that if you are focused on climate change, it does not make sense to criticize nuclear as much as he does. My point is not that nuclear is very safe, just that it is much safer than coal power. A nuclear plant is probably 1000 times safer than a nuclear plant by just about any measure you want to use (e.g., deaths per kWh, probability of destroying ecosystems, etc.). People have an irrational fear of nuclear when they should have a rational fear of coal. While nuclear has a small chance of killing thousands and making a small region of Earth uninhabitable, continued use of coal (and other fossil fuels) has an extremely high probability of killing many millions of people and making wide swaths of the Earth uninhabitable. The bottom line is that we would be better off if our energy system looked more like France's (~60% nuclear). So we should focused on getting rid of GHG emissions first and then focus on closing down current generation nuclear plants. By that time (if we're still around) much safer nuclear (or fusion) technologies will be available to replace them. I am NOT proposing, like some do, that nuclear is the only way to get rid of fossil fuels. As I said, people have an irrational fear of nuclear so I don't think it is a viable technology now. We should deploy wind, solar, and other renewables now. A price on carbon will help get us moving at the scale that is necessary. the dangers posed by archaic high pressure water reactors is very real and mustn't be diminished. Nuclear advocates will often say that no one died from Fukushima, which is as stupid and disingenuous a statement as can be. I made the dooby bloom'n doom comment under the wrong name. We are crashing towards mass extinction. Climate change is only 1 of 6 drivers of mass extinction. Energy demand is set to double in 50 years. Emissions have to go down 80% in 30 years. Green energy uses more minerals for less energy than fossil fuels. Post-peak minerals will hit in 20 years – more energy for less minerals. It takes 10X more intermittent energy to displace one unit of fossil energy. Green energy systems only last 30 years and have to be replaced. We can’t replace billions of green systems every 30 years and save earth. Recycling their alloys is difficult and uses more energy than mining. Green energy doesn’t run on the sun and wind, it runs on mining minerals. Green energy is driven by short-term greedy capitalism and corruption. In 30 years, when you need to replace your systems, it will cost too much. We can’t get rid of capitalism and corruption by definition of capture and crime. We have to redefine the basis it works on, which is money. Carbon charring soil can reduce C02 six times more efficiently than anything else we can do. It also rejuvenates and renews soil. We have to reduce C02 more efficiently than the current national currency system. We do this by pricing bio-charred soil using 100% private-citizen carbon-tax dividends with no share for corporations and governments directly deposited to you in a new world currency system so that fossil energy pays you to carbon-char soil. We will have to turn depleted uranium munitions into ploughshares all over the world at once. That’s why Monsanto and the gas-pipeline giants are killing each other in the Ukraine, for money and power, in one of the last GMO-free breadbaskets of Europe. Will we do it? Nope, too greedy and fearful. Great show, and really powerful statements from Mr. Goreau. Despite the hucksters and charlatans trying to equate corporate capitalism with emissions reductions, the results have been farcical. The data and logic are impeccable: humans are blasting through the 400 ppm level, and there is no efficiency or reductions or green energy wishfulness or guilt-tripping that will bring those numbers down. But if soils can become sinks for carbon, then humanity has a way to produce its way back to a livable planet. Goreau seems absolutely correct that the IPCC has a built-in bias to be cautious, overly government-corporate friendly, and fundamentally avoidant of bad, bad news or stark approaches. Would Robert Loughlin, a great guest you had on last year, agree with biochar carbon-farming as humanity's last and only hope? Does that link make you feel good, j.gabel/corporate denier bot??? this guy is SENILE… He spews stupid crap which is just ignorant, despite his ancient prize…As virtually all data shows we're headed for a massive problem, his dorky arguments will be heralded by deniers stuck in self deceptive trickery designed to avoid dealing with this humanity ending problem… He wanders around talking about land management, which are all great elements in addressing this problem but to say we need more information befor we can diagnose the problem is frakin' suicide… every data point we add is worse… every new insight shows the problem is growing… and for supposedly intelligent freaks like Dyson… we should just wait? wake up! Climate change is REAL! "When our current emissions at 400 parts per million finally stabilizes, London will be a tropical swamp with hippos and crocodiles – again. I've been on the climate watch since 1990. How come nobody told us? "